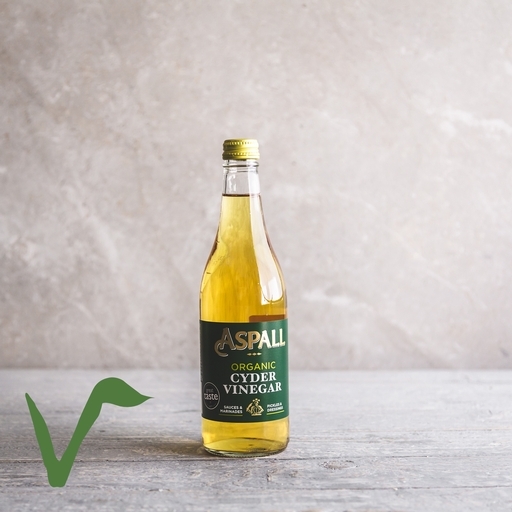 Organic cider vinegar from Aspall. Made using the juice of dessert and cider apples, this top-quality vinegar has a delicate flavour and clean finish. It livens up dressings, marinades and relishes a treat. Worth keeping in your kitchen cupboard!